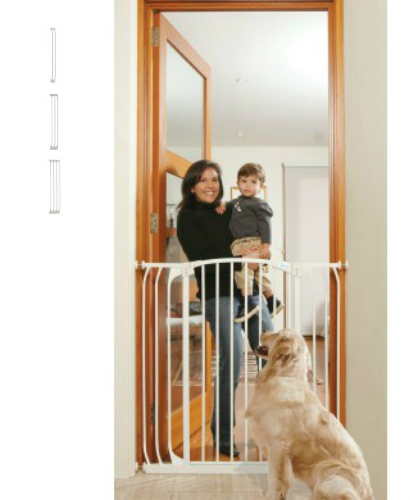 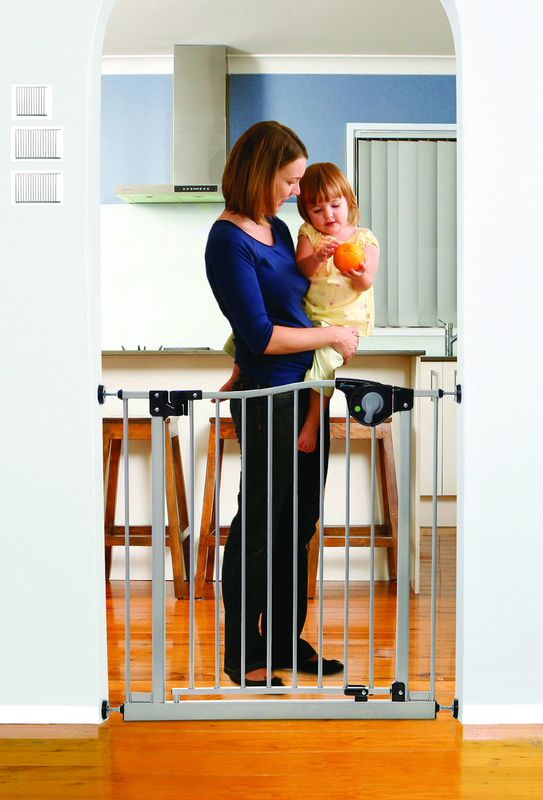 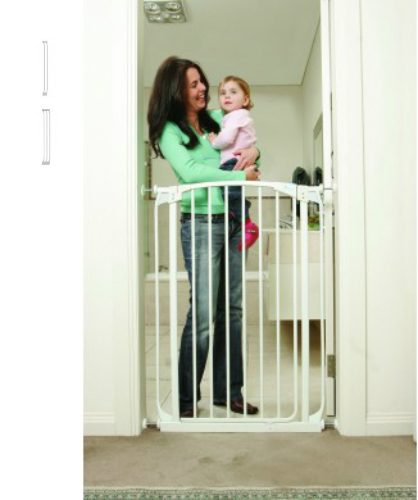 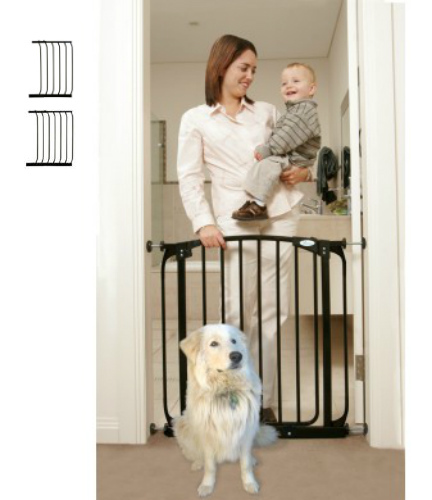 Extra flexibility and extra width create the extra value of the White Hallway Baby Gate Combo Package Plus Two 10.5. 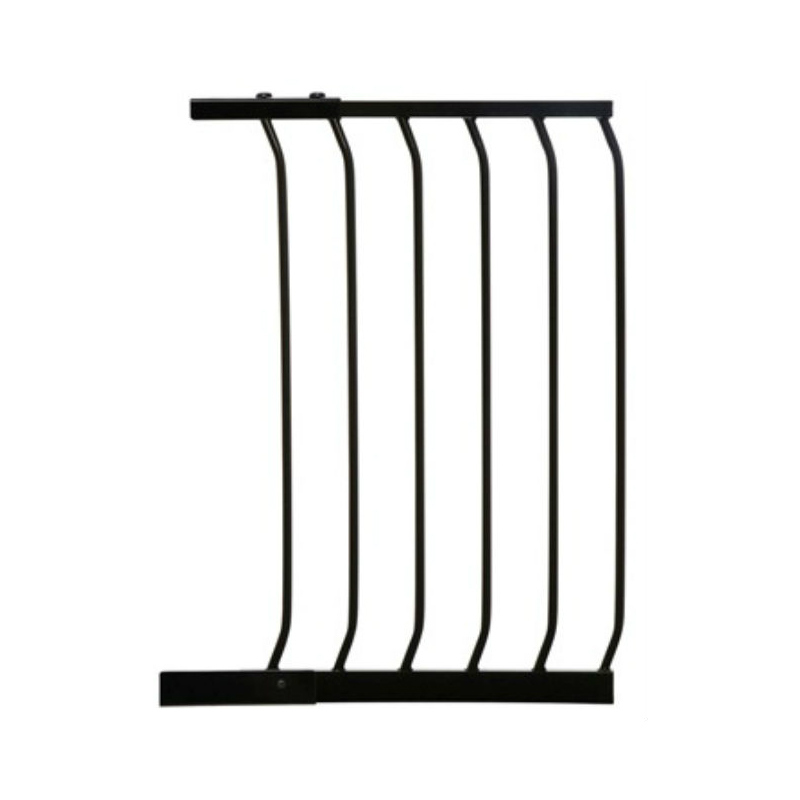 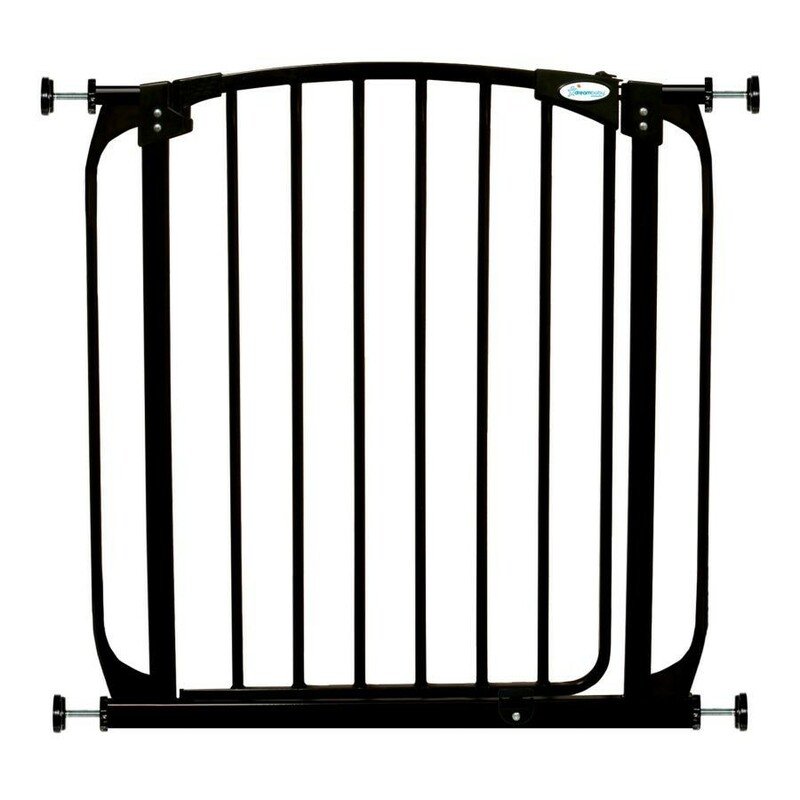 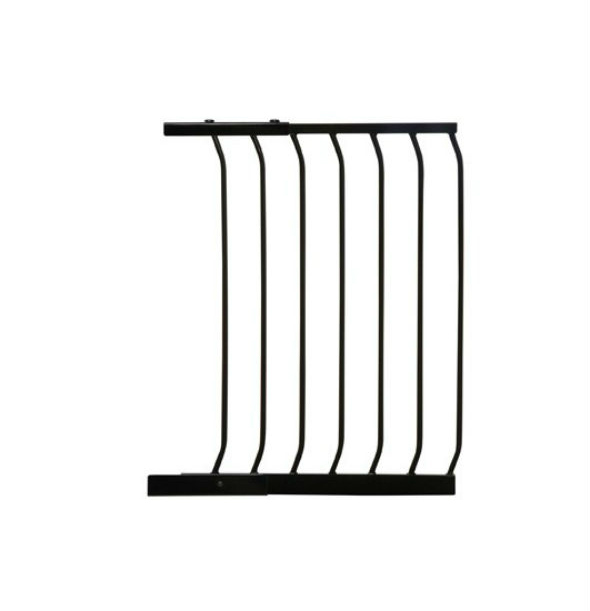 With the 8 width options (ranging from 38 inches to 63 inches), you can install your gate just about anywhere. 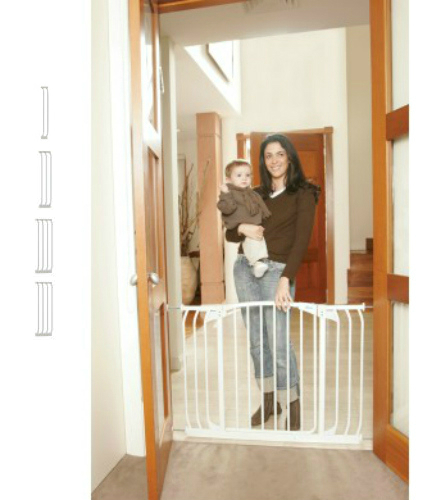 Silver coated, pressure mounted gate with a magnetic feature that ensures it fully latches each time the door is closed.